Dragnet Expanded For 3 Suspects In Killing Of Illinois Police Officer : The Two-Way Local, state and federal law enforcement agencies have been searching the area around the community of Fox Lake, where Lt. Charles Joseph Gliniewicz was shot. 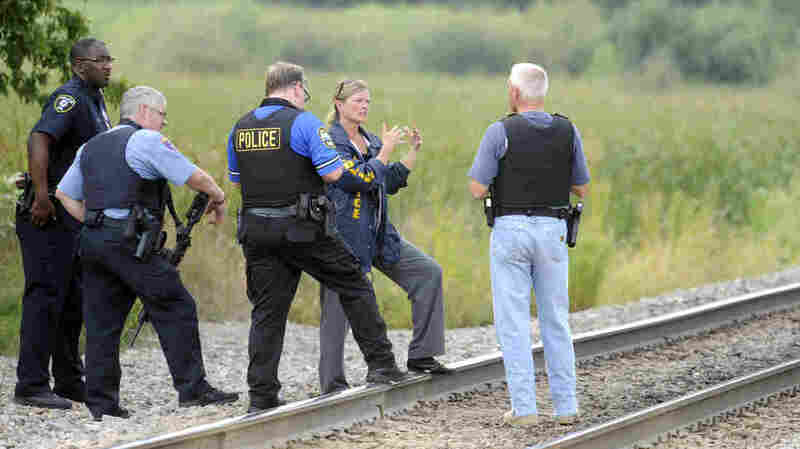 Law enforcement authorities in Illinois have widened their search for three suspects wanted in connection with Tuesday's shooting death of a police officer in the community of Fox Lake. "Authorities say they have thoroughly searched a perimeter of 2 square miles where a backup officer found Gliniewicz, and are now conducting saturation patrols as they expand where they are looking for the suspects." 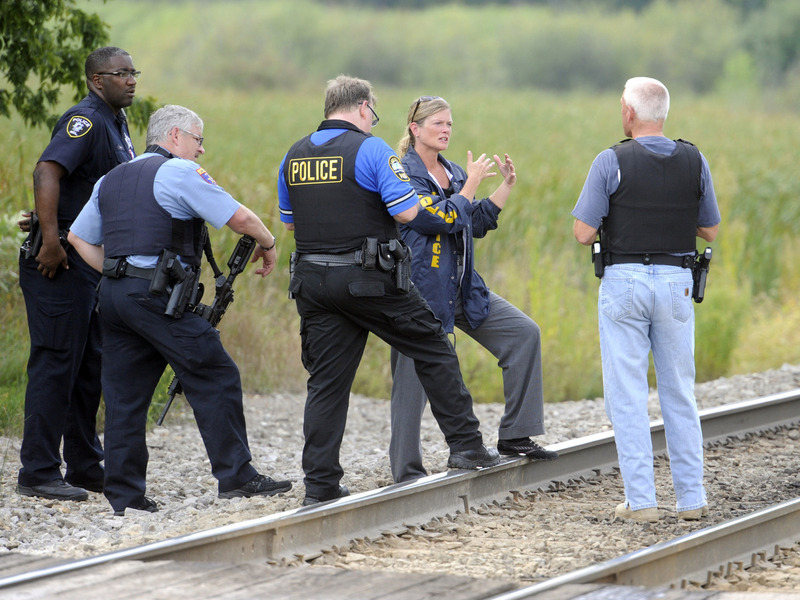 Lake County Sheriff's Office spokesman Christopher Covelli told The Associated Press on Wednesday morning that police are no longer confining their search within the 2-mile area. "He'd recently discussed retiring as soon as this month, said Fox Lake Mayor Donny Schmit.
" 'He's got four sons who are going to have to go on alone,' said Terry Resetar, the fallen officer's mother-in-law." Lake County Major Crimes Task Force Commander George Filenko said during the latest press conference that while there have been no major developments in the search, police are "following up leads." He said there are around 100 investigators working on the case. Covelli said earlier that on Tuesday, there were 400 officers on the case. "We have a lot of social media leads," Filenko said, according to the Chicago Tribune. "I think we are making progress. Even if that tip is discarded, we are making progress."